Formulated for use on azaleas, rhododendrons, camellias, hydrangeas, evergreens, blueberries, raspberries, strawberries and potatoes. 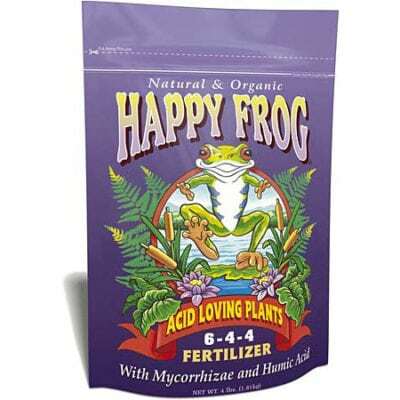 Happy Frog Acid Loving Plants Fertilizer contains a boost of nitrogen for heavy feeding shrubs and cottonseed meal for plants that need a low pH. 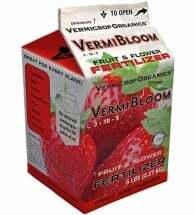 FoxFarm organic fertilizers include mycorrhizae and humic acid. 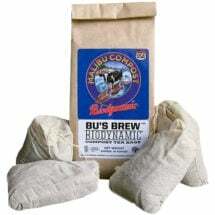 Potted Plants: Mix 1 Tbsp per gallon of soil or topdress 1/2 to 3 cups monthly per established plant. 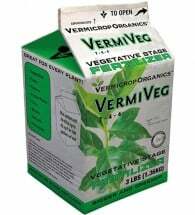 Gardens: Mix 1/4 cup per 5 gallons of soil or topdress 1/2 to 3 cups monthly per established plant. 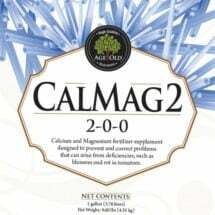 Ingredients: Feather meal, bone meal, hydrolyzed fish, fish meal, fish bone meal, cottonseed meal, sulfate of potash magnesia, alfalfa meal, blood meal, bat guano, rock phosphate, kelp meal and gypsum. Rhododendrons and azaleas grow best in light, well-drained soils with good aeration and an ample supply of moisture. Remove withered flower clusters to reduce the potential for disease and create a more attractive plant shape.